Swim out to Sandbar Café for the best Burgers, Fish & Chips on the Coast! You can choose from fish, beef, chicken or vegetarian – and it’ll come with chips. For just 10 bucks! 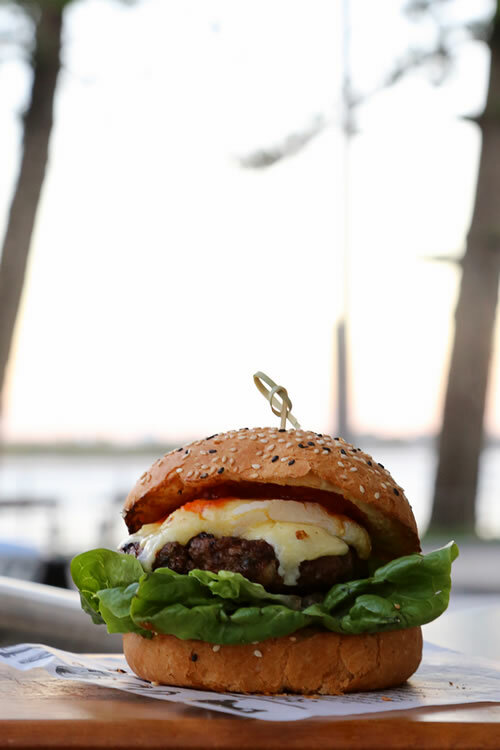 We’re talking quality house made burgers, made on site by a chef – perfect to take away and eat by the beach.